Asana is a popular productivity tool that helps teams track work the most efficient way. Teams are able to collaborate and stay on the same page, saving time while doing more work. However, every business is unique. Each organization has requirements that are rarely served by only one tool. The solution is in integration. Integration with other productivity, communication and reporting apps make it possible to satisfy work requirements effectively. Users do not need to switch between applications. Also, they can keep information in one place. Some of the integrations were made by Asana due to feedback and requests such as mobile apps for iOS, iPad and Android, Chrome extension, Box and others. Partners build the others such as HipChat, SupportBee, GitHub, and InstaGantt, among others. New ones are periodically added to as growing the platform remains a priority. Three new integrations have recently made the list. 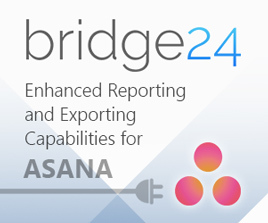 They will help users expand the functionality of Asana in the areas of reporting and communication. Grow is a simple business intelligence dashboard software. It provides a way to access data and visualize it in real-time through a scoreboard. With this integration, users are able to track important numbers and status. Thus, users easily see if work items have become critical. 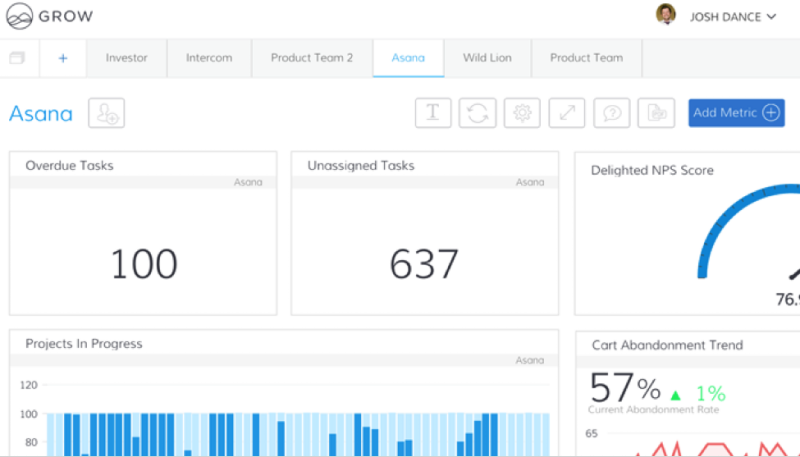 They can create dashboards to check open and closed tasks, completion rates and other data. Users just have to set up their Grow account and select Asana from a list of data sources. Next, they should click the Connect button and log in to Asana. The Velocity integration was made specifically for Asana. Users are able to create powerful reports easily so they can understand where the team spends time. As a result, they can improve their velocity, find opportunities and make accurate estimates. They can also securely share the data or export to CSV format. 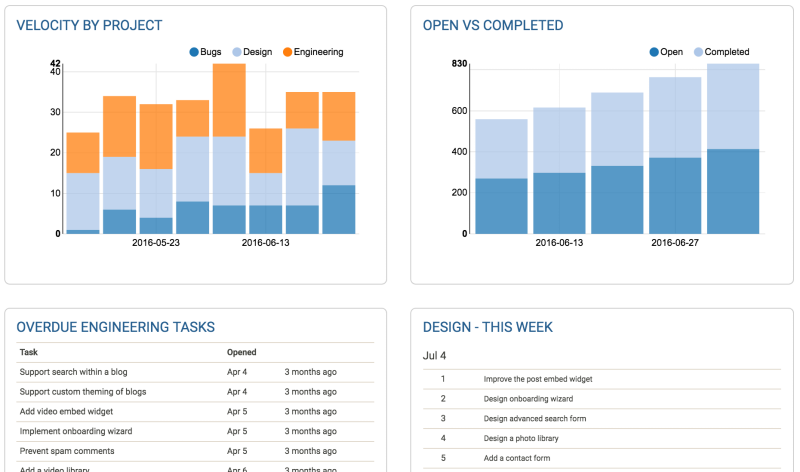 Overall, teams get better insights through powerful custom charts and reporting. Users can sign up for a free trial. Afterwards, they can browse the built-in reports or create their own. Pricing starts at $19 per month for a single user. 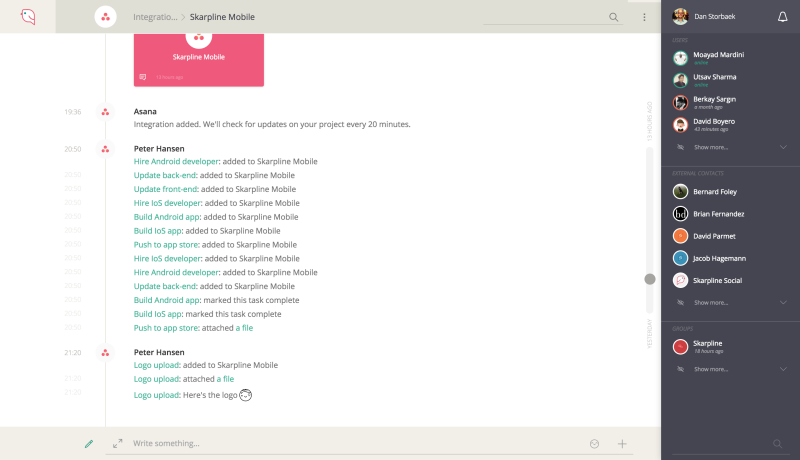 Skarpline is a premium messaging and collaboration software. It is for teams that want more agility and efficiency with a better option than just email attachments. The integration allows users to receive Asana notifications in real-time within the communication app. Hence, users are able to effectively organize and streamline all their communications and notifications, including for their projects. They need to log in to Skarpline first and select Asana for the integration. Once authorized, users can select which projects they want to integrate for the notifications to show. Asana provides users a way to use the tools they love together. It is a better approach than forcing to make one product do something it is not really built for. Check out also their Twitter, Facebook, LinkedIn or YouTube page for the latest news in integrations and other updates.